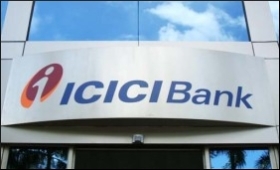 Investment services firm ICICI Securities (ISec) on Saturday reported an exponential rise of 91 per cent in its fourth quarter net profit. According to the company, its net profit under the quarter under review increased to Rs 159 crore from Rs 83 crore reported in the same period last year. This is the first time the company has declared its results since making a stock market debut earlier this month. "For the full year, ISec's revenues went up 32 per cent to Rs 1,859 crore against Rs 1,404 crore in FY17," the company said in a statement. "Net profit rose 65 per cent to Rs 558 crore versus Rs 339 crore in FY17. Return on net worth (RoNW) for the year, a key indicator of capital efficiency, improved by eight percentage points to 85 per cent, against FY17." The company's Board recommended a final dividend of Rs 3.90 per equity share of face value of Rs 5, taking the total dividend for the year to Rs 9.40 per share, against Rs 6.36 per share in FY17.